Here in KC, we have some of the best coffee houses I've encountered, (and I have come across my fair share of shops. Iced coffee has a tight grip on my heart strings). I work downtown, so my morning ritual usually includes stopping for a cup of joe. Lately it's been hard for me to choose where to go; because with so many wonderful options, it makes this decision a tricky one. I like scones from one place, but the dirty chai of another, (I'm a mess of a woman in the morning). 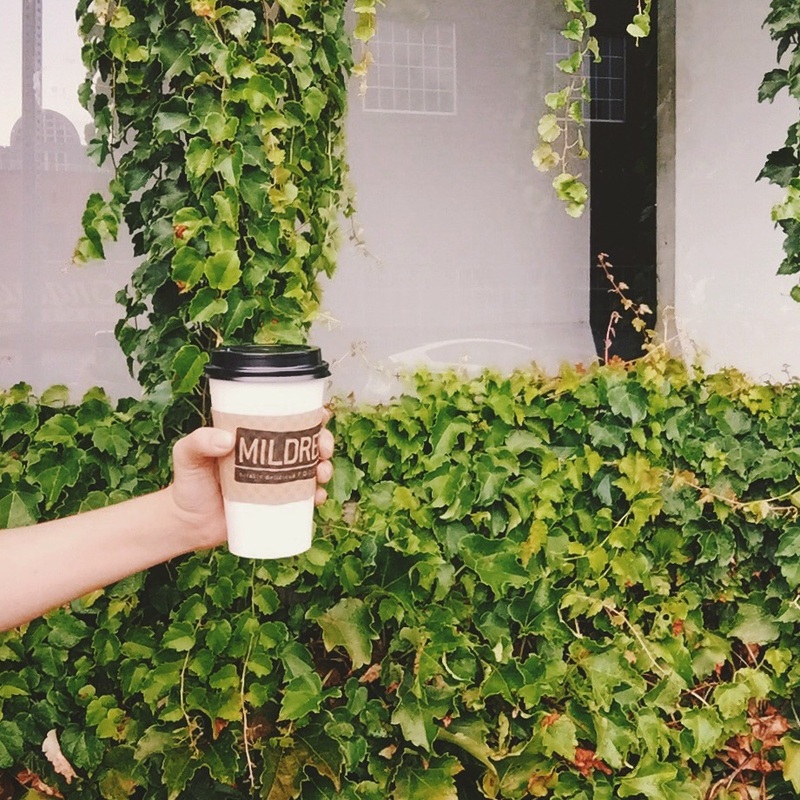 I decided to try out Mildred's a couple months ago, and I've got to say... It's a new favorite. These guys are not only incredibly nice, (They will remember you.. Even if it's only your second time there), and their food is dynamite, but they're also incredibly quick. Many times I have gone in with only ten minutes to spare and I'm in and out in 3 minutes flat. I love sharing places with my KC folk, or new friends who are just passing through the area, and this is one of the many shops I would recommend swinging by! (I go to the coffee shop in the Crossroads).